Looks like orangeacid.net is back after some down-time due to security exploits. I’m writing this from Urbis in Manchester on some old Macs – wow, getting some weird bugs on Safari. Looks like they’re mostly cosmetic, though. Back home now, in the comfort of my newly cleared-out room. So what was I doing at the Urbis center in Manchester a couple of hours ago? I’m one of a team of young people from Derby collaborating with Derby QUAD to participate in the Portrait of a Nation project. 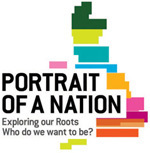 “Portrait of a Nation offers the opportunity for communities – especially young people – to get involved in identifying what it is special about their city and their local culture and what they want to save, share and pass on for the future. It’s an exciting project which I feel privileged to be a part of, and I have similar feelings for the QUAD project. Great things are going to come out of QUAD. It’s going to be interactive and fun and relevant to the city and its citizens. Expect to see more of it around here soon. Viewing this blog in Firefox and trying to comment may be a stressful experience for you – the submit button bounces around the page when you try to mouseover. I’ve only encountered this in Firefox and IE 7 and Opera seem fine, although I guess it might occur naturally in Safari and elsewhere in the wild. It’s almost as if the site were mocking you. It’s starting to really wind me up. Can anyone suggest a cross-browser workaround? I updated my blog’s platform last night. It was a seamless transition, and there is now tagging support for me to implement. Apart from that, there doesn’t really seem to be anything different. Also, these bugs are starting to really irritate me. In Internet Explorer 6 the post headers are in weird places, and run away from the cursor when hovered over. The submit button for the comments form is the same. If anyone would like to debug this for me then I’ll provide some linkage.